Today's post will be a slight departure from the theme of Criminalizing Conservatism, but has a lot to do with bringing down Conservatives in debate, as the Page, "Conservative Rhetoric," so ably demonstrates. The Vice Presidential Debate: Joe Biden Was Right To Laugh. 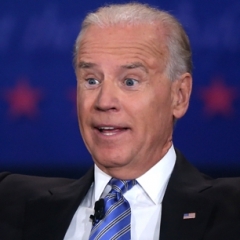 "I've never thought much of Joe Biden. But man, did he get it right in last night's debate, and not just because he walloped sniveling little Paul Ryan on the facts. What he got absolutely right, despite what you might read this morning (many outlets are criticizing Biden's dramatic excesses), was his tone. Biden did absolutely roll his eyes, snort, laugh derisively and throw his hands up in the air whenever Ryan trotted out his little beady-eyed BS-isms. "The load of balls that both Romney and Ryan have been pushing out there for this whole election season is simply not intellectually serious. Most of their platform isn't even a real platform, it's a fourth-rate parlor trick designed to paper over the real agenda – cutting taxes even more for super-rich dickheads like Mitt Romney, and getting everyone else to pay the bill. "MS. RADDATZ: Well, let's talk about this 20 percent. "MS. RADDATZ: You have refused yet again to offer specifics on how you pay for that 20 percent across-the-board tax cut. Do you actually have the specifics, or are you still working on it, and that's why you won't tell voters? "'We want to have bipartisan agreements?' This coming from a Republican congressman? These guys would stall a bill to name a post office after Shirley Temple. Biden, absolutely properly, chuckled and said, 'That'd be a first for a Republican congress.' Then Raddatz did exactly what any self-respecting journalist should do in that situation: she objected to being lied to, and yanked on the leash, forcing Ryan back to the question." Jim Leher was on every cable political program he could find after the justifiable criticism of his poor performance as moderator of the first debate, clearly inferior to that of Ms Raddatz. For those Consevatives - and many Progressives, including Lawrence O'Donnell - calling for an "open debate," with no rules, allowing for an interrupted free for all with interruptions galore, the debate between Biden and Ryan should give them pause. The winners of "debates" of this sort belong with those with the loudest voice and most overwhelming personality. Certainly a litany of facts larded with those outbursts will aid the debater with the largest larynx, but volume ultimately wins, not facts. And this is what the Conservative viewers saw - facts, not volume and constant smiles at their boy's (pun intended) lying ways - and their view, that Ryan won the debate, was based on their perception that Ryan's bullet points were factual bits of information, not lies that even a fact checker could miss. 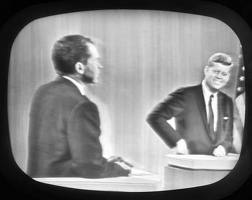 Lost in the polls was the old basis of judging a debate - the opinion of those who judge debates on the college level. Courtroom debate, Congressional and Parliamentary debating is not unrestricted either, and calls for unrestricted debate are invitations for the type of debate found in mobs screaming at each other outside political events - such as debates. For an outstanding review of debating rules and styles around the world see --> http://en.wikipedia.org/wiki/Debate. A shorter guide to four types of debating, Parliamentary, Lincoln-Douglas, Cross Examination, and Academic debate are here --> http://www.triviumpursuit.com/speech_debate/what_is_debate.htm. 0-2 marks Weak or irrelevant argument, poorly structured. Inconsistent with previous speakers' definition or an unreasonable attempt to define or redefine the motion. Fails to adequately explore the subject. 3-5 marks Below average argument. Perhaps coherent but clumsy; mainly consistent but stale and lacking in imagination or originality. Has little evidence to support case. 6-7 marks Sound argument. Relevant, reasonable and consistent with a defined structure and coherent points. Introduces some evidence to support argument but fails to reach beyond stereotype formula debate for the topic. 8-9 marks High quality argument, imaginative and coherent. Good points backed up by examples or evidence. Deals fully with the subject and is challenging forthe other side to respond to. 10 marks A rare occurence. A debate winning argument which the other side cannot respond to. Original, well structured and convincing. Only to be awarded to a very high quality debater. 0-2 marks Hesitant, floundering; has little idea of what to say; inarticulate, incoheent and obviously lacking in any confidence. Would struggle to make him/herself heard in a larger venue. 3-6 marks Varying degrees of weak to average delivery. Does the speaker appear confident? ; can he or she be easily bullied by the other debaters? ; does the speaker often lose his/her place? especially when interrupted; can he/she fend off opponents who are trying to make a point? ; does the speaker speak clearly and do they have a good standard of grammar? ; do they speak too quickly, too slowly, too loud or too quiet? ; do they speak to their audience or to the ceiling? ; are they reading or using their notes too much? 7-9 marks This is a good quality performance in which the speaker only uses brief notes occasionally, only uses wild hand actions where appropriate and has a confident air which is rarely put off by the acrobatics of other competitors. The speaker speaks clearly and makes eye contact with the panel and the competitors and does not appear to be rushing or dragging out their speech. A speaker who loses his/her way once but manages to recover effectively can still achieve as high a score as seven or eight. 10 marks Again a rare mark to give; to achieve a perfect ten, the speaker must have no notes, must speak confidently at the perfect tempo and must be able to deal with heckling and requests to give way effectively. He/She must never lose his/her place and appear to have the entire debate under his/her control. 0-1 marks Offers few points or only stands up when someone else is already standing. Anyone who attempts to offer a point for their own side should receive no higher than one mark. 2-3 marks Offers points throughout the debate but not good points; or offers one or two good points but appears not to participate for much of the debate. Sadly, anyone who offers points but is not accepted even once cannot receive higher than two marks. If the judges feel they deserve it, they can be compensated in the overall impression section. 4-5 marks Offers salient and effective points where accepted and remains interested and involved throughout the debate. 0-1 marks Refuses to take any points or seems unable to either answer points or regain thread of the speech. 2-3 marks Attempts to answer points but finds it difficult to answer them. Perhaps takes too many points or too few. Does not always regain flow of the speech. 4-5 marks Confident and effective dealing with points; either answers the point succesfully or succesfully dismisses it without losing any fluency. Does not take too many points and does not refuse to take them. Polls matter, and people answer these polls using emotional standards rather than objective standards, but the voter should also informed as to who really won political debates by means other than personality, shouting, interrupting, or derision. Although Vice President Biden won the debate via his bettering Paul Ryan on Content, Delivery, Points Offered, and Points Received, he also "won" using derision, laughter, and interruption - hallmarks of unrestricted debate that should not be allowed in our political elections. Unrestricted debates will always be won by the best actors in the minds of those who know nothing about debating rules. Loudmouths like Christie, B-actors like Reagan, by those standards would have out-debated Lincoln and Douglas - obviously a nonsensical scenario, even by Conservative standards. Conservative Debating Techniques (http://www.criminalizeconservatism.com/2012/10/conservative-debating-techniques-redux.html), including the "Gish Gallop," --> (http://m.dailykos.com/story/2012/10/04/1139926/-Romney-Won-Using-a-Debate-Technique-Called-the-Gish-Gallop) so effectively used by Mitt Romney and other Conservatives, would be rendered useless if effective rules were set up for each debate, and the public were made aware of what professional debate scorers decide after the debates' conclusion. "Ian Malcolm: I'm always on the lookout for the next ex-Mrs. Malcolm."